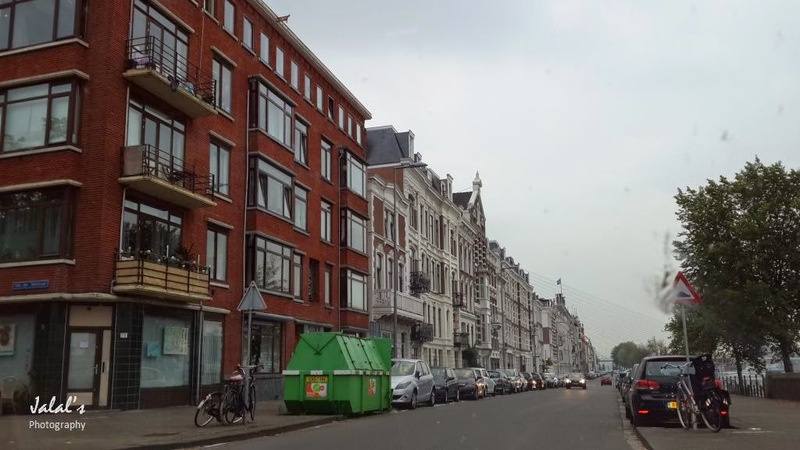 The visit to The Hague was a sad dream unfulfilled as we could not see the Panorama Medag as I mentioned in one of my previous posts. 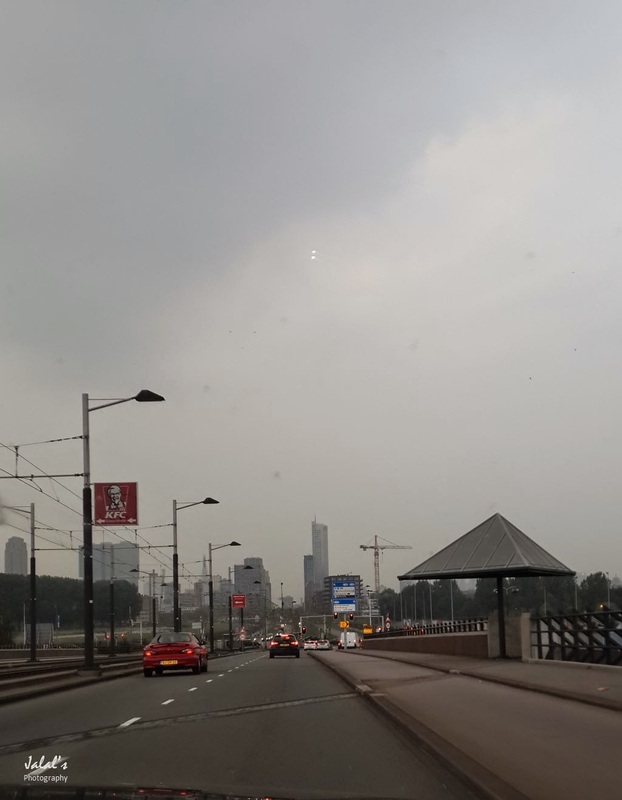 So after moving about in the city for a while, we headed to Rotterdam - our last destination in the Netherlands, where we had a splendid four days stay. There in Rotterdam, Shahid Latif with his Moroccan wife were anxiously waiting to receive us. As we reached Shahid's flat, he received us on the ground floor and insisted that we had a city tour before it got dark and also allowed his wife to prepare dinner for us. So I handed over the wheels to Shahid Latif who drove us around the city and introduced to us the old and new Rotterdam. 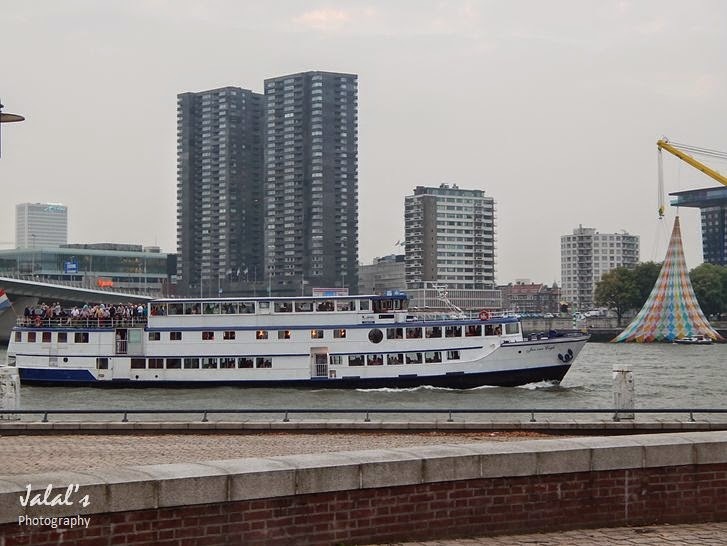 Rotterdam, as the name implies, is a city which was built around a dam built to harness the River Rotter in 1270 AD and is located geographically within the Rhine–Meuse–Scheldt river delta at the North Sea. 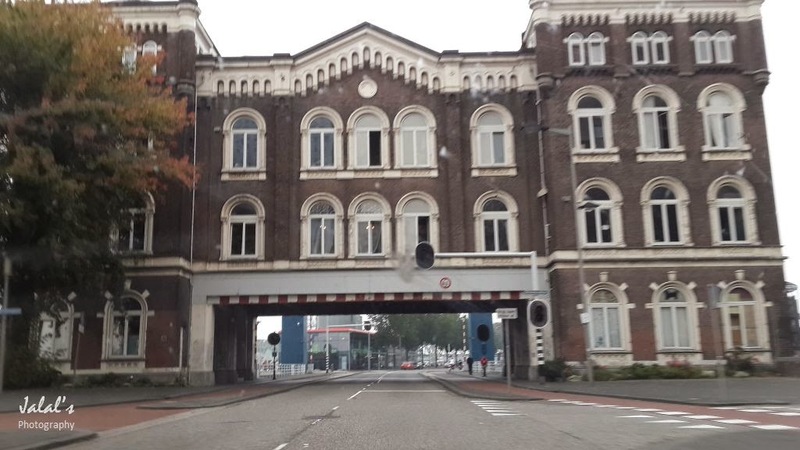 There are many a old building that one can still see when driving through the city - one has been artfully restructured as can be seen in the photo above to allow the road go through it without destroying the old architecture of the city. 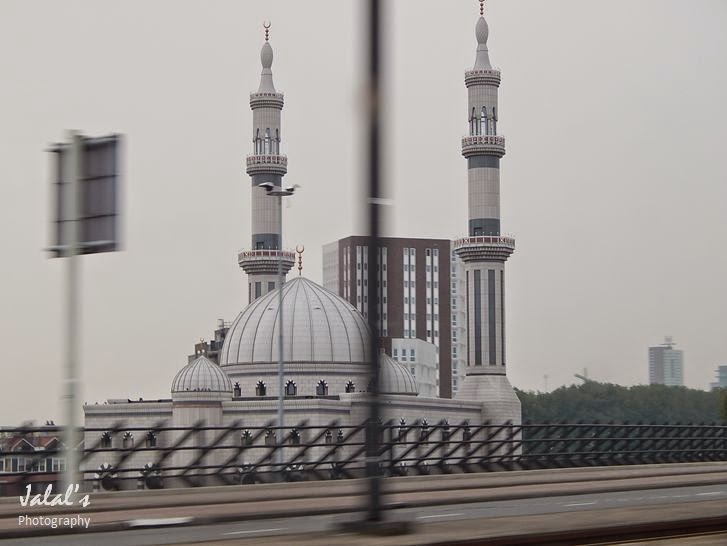 As we started our Rotterdam city tour, the first major land mark of the city we passed by was the the Essalam mosque (pictured below), which is the largest in the Netherlands and one of the largest in Western Europe. The mosque is a beautiful combination of traditional Islamic architecture with its two 50-meter minarets and a dome. The mosque was funded by Maktoum Charity Foundation of Dubai sheikh Hamad bih Rashid al-Maktoum. The mosque caters for the needs of Muslims of Turkish, Moroccon and Indonesian origin. 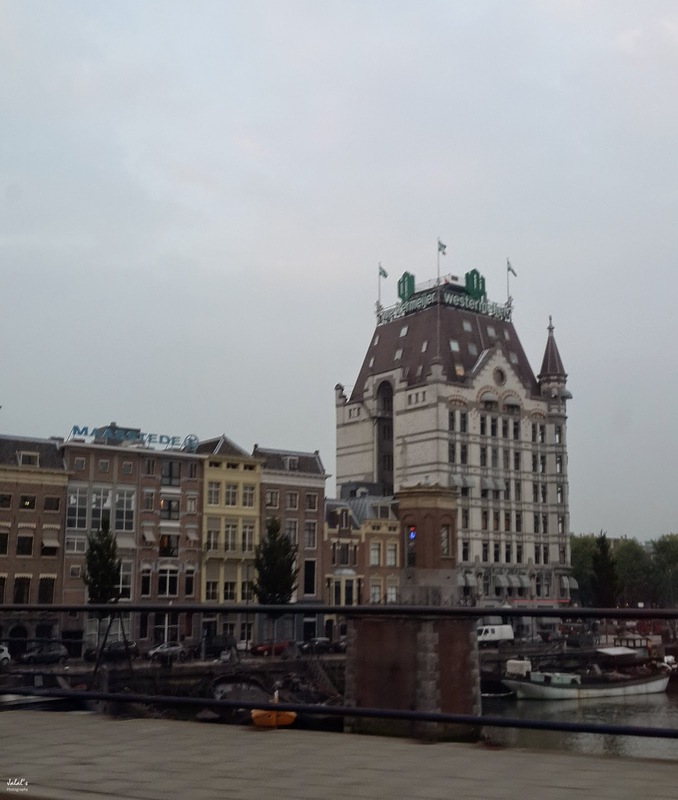 Talking of the old Rotterdam, the 'White House' (above) stands out, which was opened in 1898 - it may surprise you today, but at that time it was considered to be Europe's first 'skyscraper'. The building was portrays the Jugendstil or Art Nouveau. While many new bridges now attract tourists, the old bridges are still preserved as part of the history. 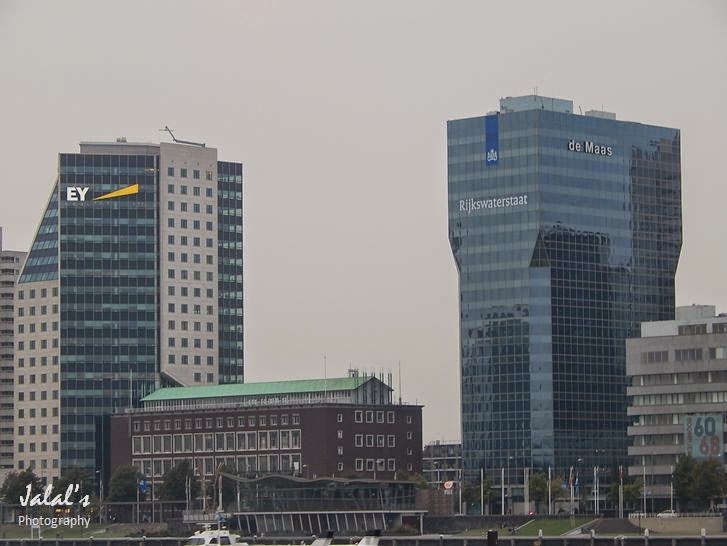 The photo above shows both the old and new bridges of Rotterdam. 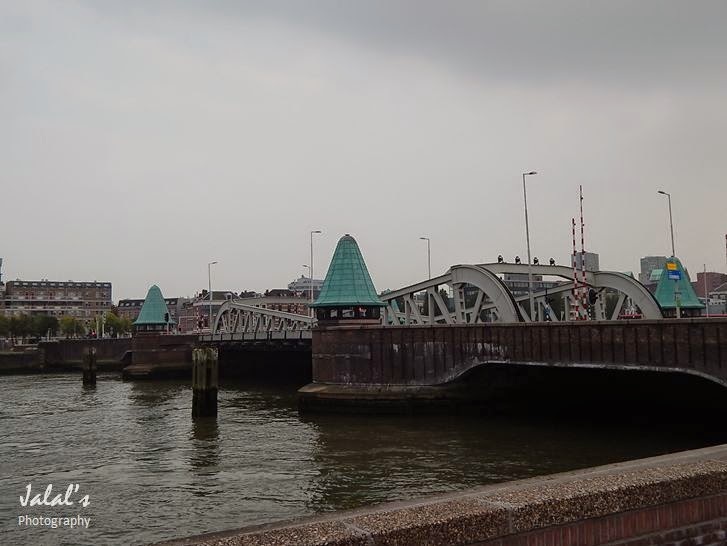 Koninginnebrug ("Queen's Bridge"), is a twin-leaf bascule bridge which today is a key conduit for road, cycle and foot traffic over the Koningshaven ("King's Harbour") over Muse river. 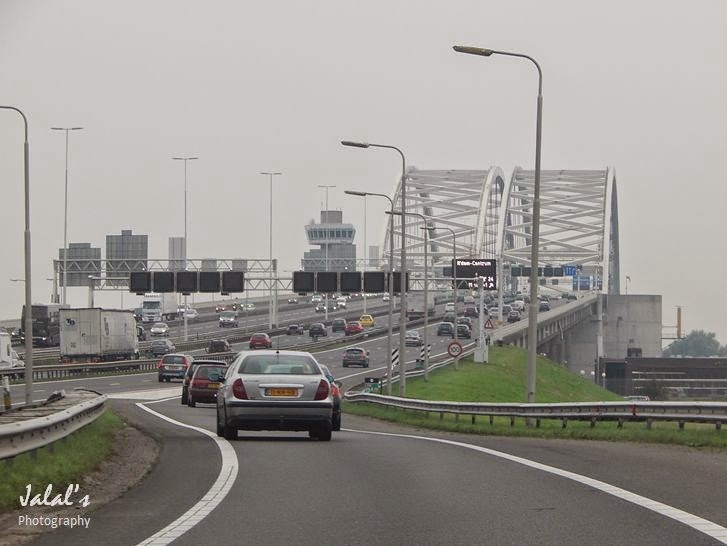 Two steel work trusses cradle the roadway, while foot and cycle traffic uses walkways cantilevering from either edge. 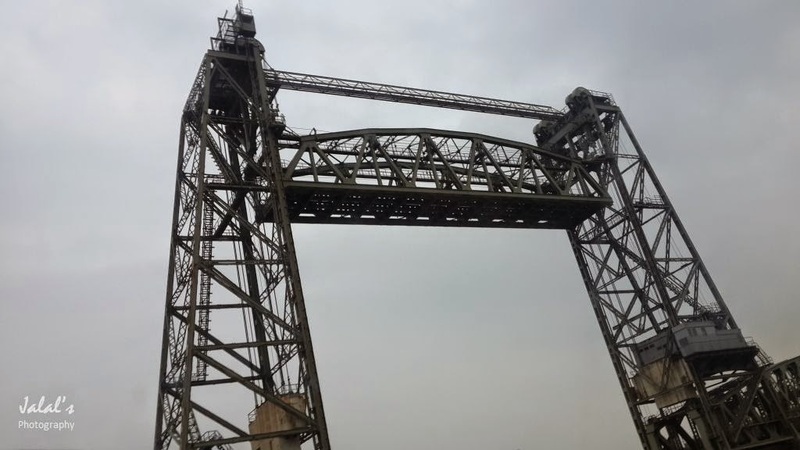 It was built in 1929, to replace a swing bridge. It lies adjacent to the Koningshavenbrug or the old train bridge as described down below. 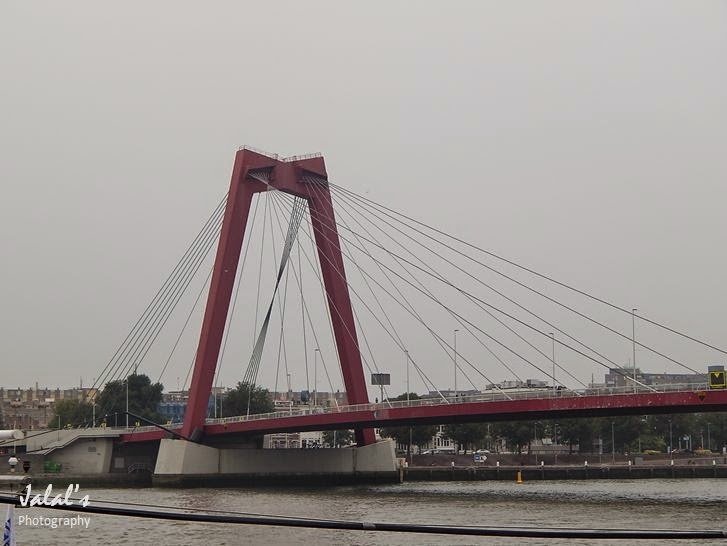 The Koningshavenbrug or the De Hef as called by people of Rotterdam is an old train bridge over the Muse river though no longer in use still signifies itself of its past glory. 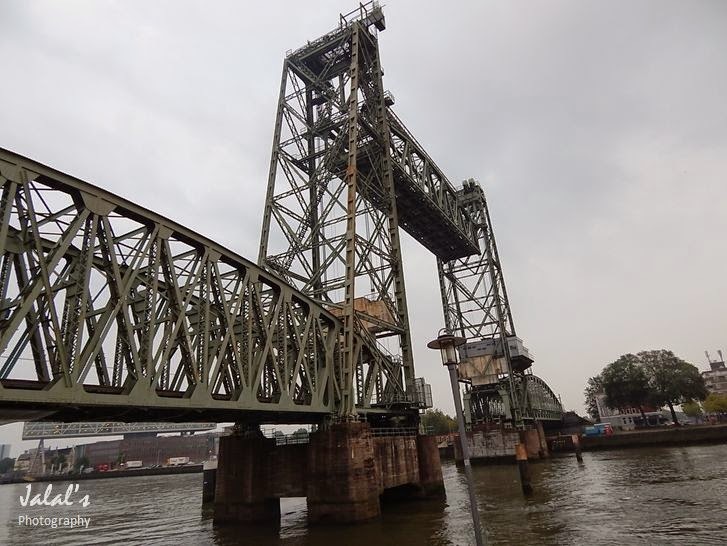 The bridge was originally made as a wing bridge back in 1878, but because of lack of space for passing ship, the middle part of the bridge was converted to a lift bridge. The elevated platform as can be seen in the photos above/below was used to allow the trains service on the bridge. And when it was time for shipping, the entire section was lifted up using heavy steel wires and pullies on both sides of the elevated steel columns. The bridge is no longer in use and is permanently open for ships. 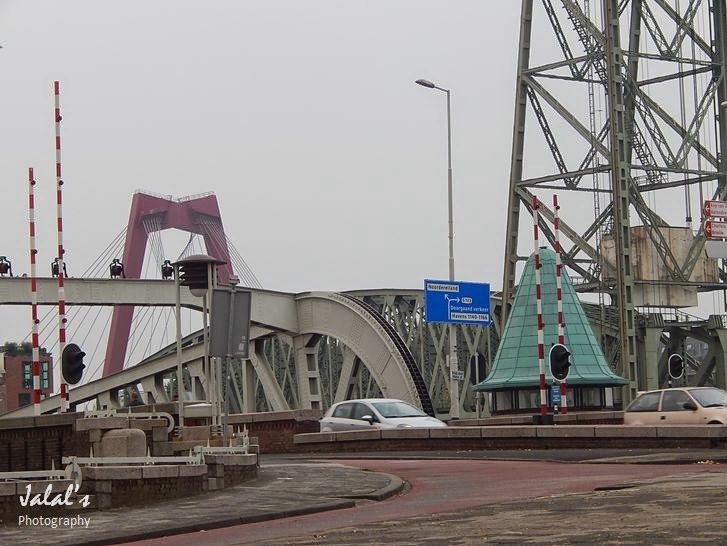 I was told that the bridge has even been auctioned, but it is being retained for its love by the people of Rotterdam. 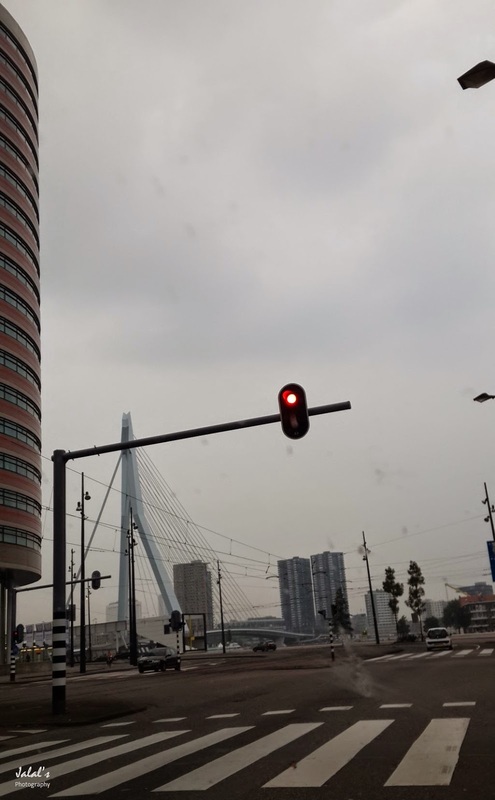 Rotterdam is a massive new city unlike Amsterdam. While in Amsterdam, one sees almost all landmarks of the city in Dam Square and for many tourists, the Dam Square is more than enough to see anything else in the city. But here in Rotterdam, it is not the case - the city is spread out in every direction and you really need to have lot of time to move about or someone who knows Rotterdam like the palm of his hand and can take you around - otherwise you would be lost amidst the old and new architecture and diverse culture of the city. 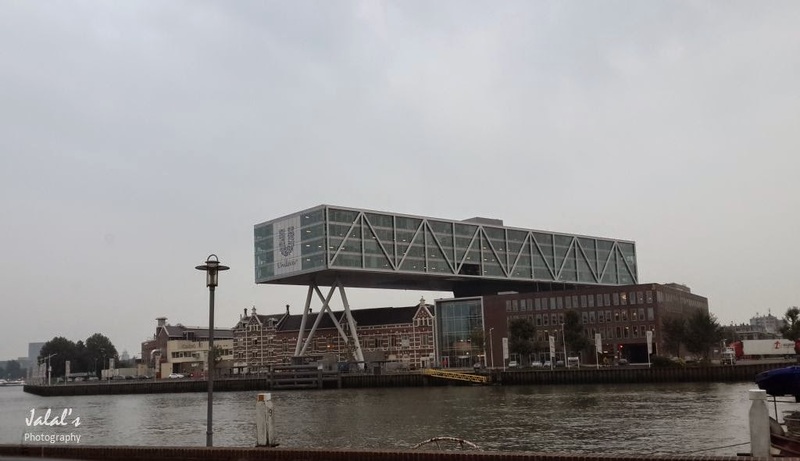 Besides the The Erasmus bridge, the Willemsbrug above is also a 'visible' landmark of Rotterdam. The bridge was built to between 1975 and 1981 to connect the North and South of the the city. Its deck is held aloft by a system of tie rods attached to two V-shaped steel towers painted in red.